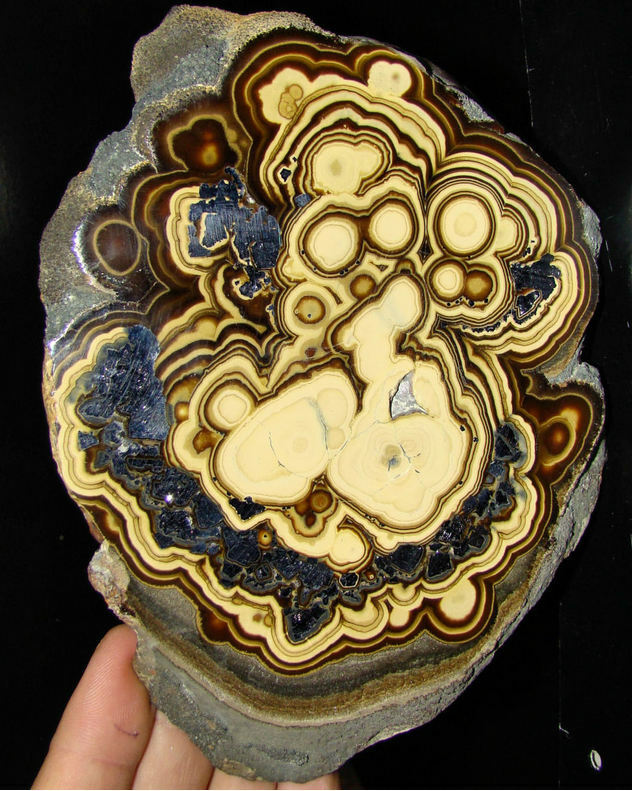 Schalenblende: Mineral information, data and localities. 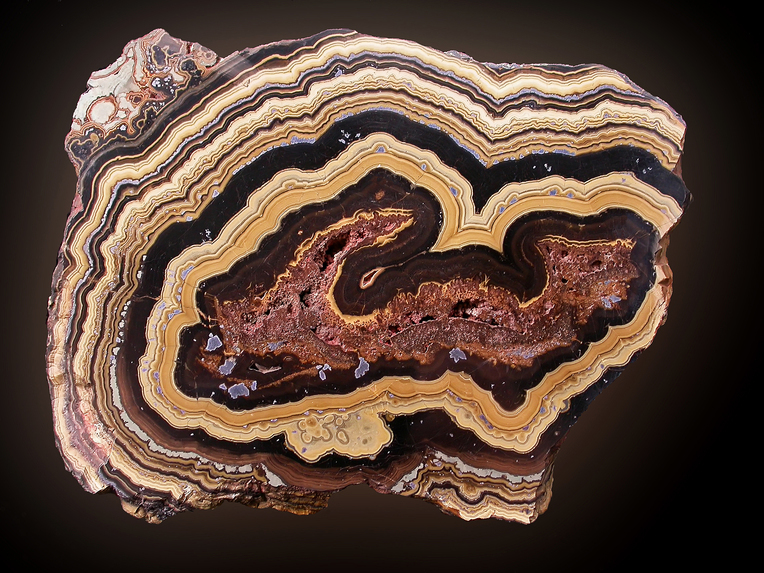 From the German words "Schale" and "Blende", meaning "shell ore", in allusion to its concentric-layered structure. Compact, fine grained Sphalerite of a mid brown to yellow or cream colour, occurring in concentric layers with reniform surfaces which also may contain intergrown wurtzite, marcasite, pyrite and galena. It is believed to have formed by relatively rapid crystallization of a low temperature sulfide gel (gel: colloidal dispersion). Galena 139 photos of Schalenblende associated with Galena on mindat.org. Marcasite 85 photos of Schalenblende associated with Marcasite on mindat.org. Calcite 62 photos of Schalenblende associated with Calcite on mindat.org. Sphalerite 44 photos of Schalenblende associated with Sphalerite on mindat.org. Strickblende 17 photos of Schalenblende associated with Strickblende on mindat.org. Wurtzite 13 photos of Schalenblende associated with Wurtzite on mindat.org. Baryte 9 photos of Schalenblende associated with Baryte on mindat.org. Pyrite 8 photos of Schalenblende associated with Pyrite on mindat.org. Smithsonite 4 photos of Schalenblende associated with Smithsonite on mindat.org. Gratonite 3 photos of Schalenblende associated with Gratonite on mindat.org. Fleet, M.E. (1977c) The birefringence-structural state relation in natural zinc sulfides and its application to the schalenblende from Pribram. Canadian Mineralogist: 15: 303-308. The following Schalenblende specimens are currently listed for sale on minfind.com. Bull. Minéral. , 1985, 108, pp. 667-677. Akande, S. O., & Mücke, A. (1993). Coexisting copper sulphides and sulphosalts in the Abakaliki Pb-Zn deposit, lower Benue Trough (Nigeria) and their genetic significance. Mineralogy and Petrology, 47(2-4), 183-192. Lalou, C., Brichet, E., & Lange, J. (1989). Fossil hydrothermal sulfide deposits at the galapagos-spreading-centre near 85-degrees-00 west-geological setting, mineralogy and chronology. Oceanologica acta, 12(1), 1-8. • Aleksander Rečnik (2010) Minerals of the lead and zinc ore deposit Mežica. Bode Vlg. & Jožef Stefan Institute. Ljubljana: 112 pp. Fernández-Martínez, J., & Velasco, F. (1996). The Troya Zn-Pb carbonate-hosted sedex deposit, northern Spain. 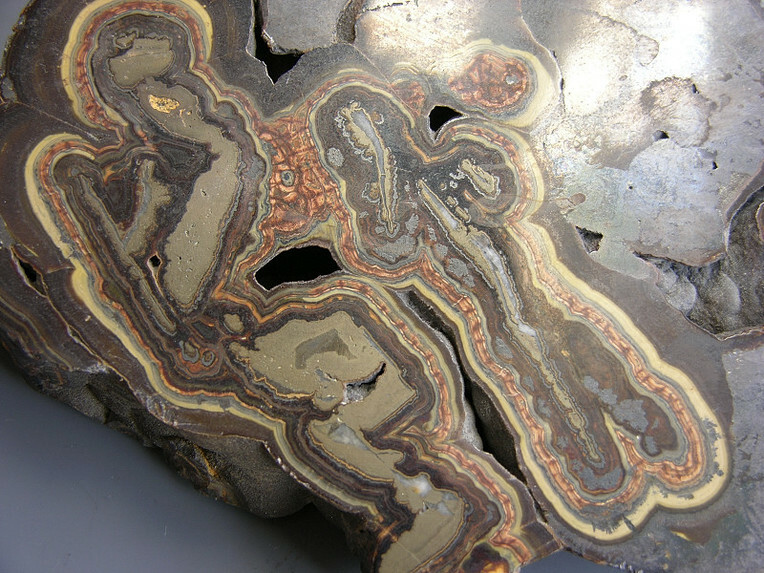 Carbonate-hosted lead-zinc deposits: Society of Economic Geologists Special, 4, 364-377. Philip Bluemner Collection; Velasco, F., Herrero, J. M., Yusta, I., Alonso, J. A., Seebold, I., & Leach, D. (2003). Geology and geochemistry of the Reocín zinc-lead deposit, Basque-Cantabrian basin, Northern Spain. Economic Geology, 98(7), 1371-1396.